Always look for PADI Five Star Dive Centres – we are recognized worldwide as offering a high level of quality and service. Sailing Club Divers is built on a experienced team of highly seasoned and qualified PADI Instructors and Divemasters. From Les Eyzies-de-Tayac, France – Nicolas is Sailing Club Divers’ General Manager. He is a PADI IDC Staff Instructor and Emergency First Response Instructor. From Cam Ranh, Vietnam – PADI Master Instructor and Emergency First Response Instructor Trainer. Diving and working with us for more than 15 years, his huge experience and sense of humour will keep you safe and entertained! From Nha Trang, Vietnam – PADI Divemaster, PADI Discover Scuba Diving Leader, Emergency Oxygen Provider & Emergency First Responder. 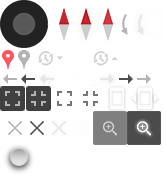 Think global, dive with a local! 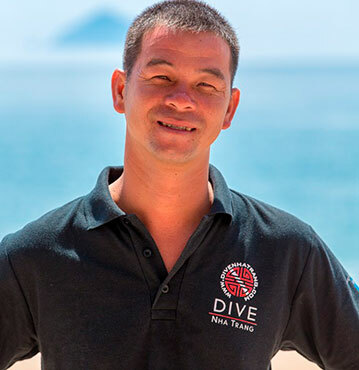 His dive guiding skills will ensure you get the best of Nha Trang underwater world! Sailing Club Divers was originally established as Octopus Diving Club on 22nd June 1999, making it one of the first, most successful and longest running Dive Centers in Vietnam. In 2002, five of the western dive staff and the current owner negotiated to buy the company from the original French owners, they dropped the word “Club” and Octopus Diving was open for business, run by young, enthusiastic divers, for divers. In November 2004 Sailing Club took 100% control and Octopus Diving became Sailing Club Divers and part of the world famous Sailing Club Vietnam. 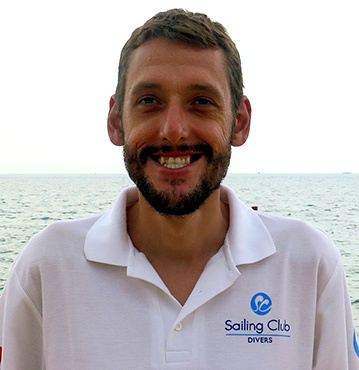 Sailing Club Vietnam was founded in 1994 by a young and ambitious Australian, Peter Vidotto. The first Sailing Club Bar was in the form of a rustic beach-bar right in the heart of Nha Trang. Over the years, this little rustic beach-bar grew to what is known today as Sailing Club Nha Trang and embodies a truly signature ambience easily recognized by its guests. As the image and establishment grew, the company then expanded to further beaches of Vietnam, with the opening of the Mui Ne Sailing Club Resort & Day Spa (Mia Resort Mui Ne) and our signature restaurant, Sandals, in the heart of Ho Chi Minh City. The Sailing Club family now has plans for a multitude of developments across the coast of Vietnam and on 1st September 2011 proudly announced the opening of their second luxury beach resort – Mia Resort Nha Trang. 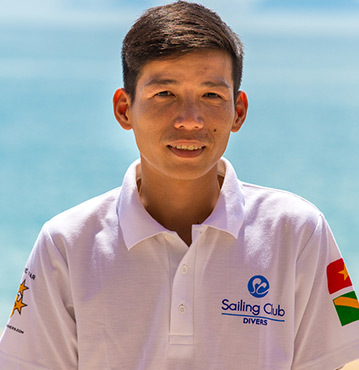 Along with the reputation & support of Sailing Club Vietnam, Sailing Club Divers has become one of the most successfull and well respected dive centers in Asia, winning many awards along the way. In 2009 Sailing Club Divers came 3rd in this region which also includes Thailand and Cambodia for PADI’s annual New Diver Acquisitions award for increasing our entry level PADI courses. In 2010 Octopus Diving also won a regional award presented by Scuba Schools International Australasia for “Excellence in Diver Training” for our computerised classroom and commitment to SSI’s online training programs. In 2012 Sailing Club Divers was named Nha Trang’s Best Dive Operator by German tourist website www.diving-in-vietnam.com. In May 2012 Sailing Club Divers received an award from PADI Asia Pacific at the Malaysia International Dive Expo in Kuala Lumpur for “Outstainding Contribution to Diver Aquisition in 2012”. Sailing Club Divers successfully completed its first PADI Instructor Development Course in September 2003 and still maintains the only 100% first time pass rate at PADI Instructor Exams in Vietnam. Starting from offering only daily dive trips and basic PADI courses, Sailing Club Divers has since expanded into a PADI Five Star IDC Center with booking locations in and around Nha Trang at: Nha Trang Sailing Club, 72-74 Tran Phu, Mia Nha Trang Resort & Spa, Bai Dong, Six Senses Ninh Van Bay Resort & Spa, Ninh Van Bay and Evason Ana Mandara Resort & Spa. Sailing Club Divers is also an active participant in local conservation and a Project A.W.A.R.E. Go ECO Operator. We participate in the Nha Trang Bay MPA’s Clean Up day, Crown of Thorns removal program, Project A.W.A.R.E. Dive Against Debris and Dive into Earth International Clean Up days. We helped install mooring buoys in Hon Mun Marine Protected Area, as part of the campaign to preserve the coral reefs against damage by irresponsible boat anchoring. We actively promote environmentally responsible diving and snorkeling and are proud to be a member of Green Fins organisation. To offer you the best of Nha Trang underwater world by providing a safe and fun activity with our experienced diving Team! Quality over quantity. We proud ourselves to run all PADI courses and the Discover scuba Diving program to a ratio of maximum two students per Instructor (up to four on request), giving you a truly personal coaching approach and a relax atmosphere. For certified divers groups are up to four divers per guide to ensure your comfort, fun and safety. To provide well maintained equipment, true PADI professional, respect of PADI standards, respect and protection of marine life, high quality services…and hopefully some good fun as well!